Madeira, the island famous for the bird of paradise and other exotic flowers is a favourite winter escape holiday destination for people from northern Europe. 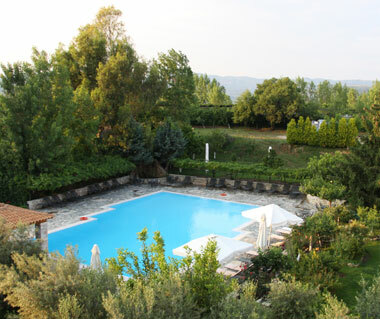 Its balmy climate and dramataic scenery has brought millions of tourists to its shores. Most visitors stay in holiday accommodation around the capital Funchal, in apartments sharing a common swimming pool or in luxury villas on the coast. There are a few holiday lets with swimming pools dispersed through the rural parts of the island but the biggest concentration is in Funchal where there are plenty of restaurants, walks along the sea front, water sports and entertainment for tourists. Funchal is a smart city that features a large harbour where cruise liners offload tourists for the day and distributes them among its parks and tourist attractions. 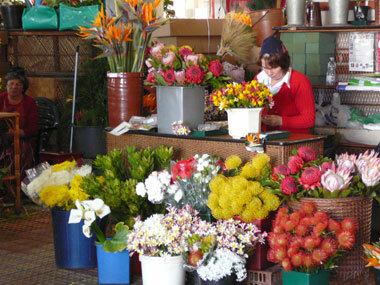 The indoor flower market is a colourful space overflowing with local flowers of every hue. Many apartments are time shares that are sub-let when owners are unable to make use of them. The standard of the accommodation and leisure facilities is very high which adds to Madeira’s appeal. Lots of people holidaying in Madeira walk the levadas which are dry river beds. These wind their way through stunning vistas with always another picturesque scene around every turn. In the centre of the island is a plateau that is often sitting in the clouds. The temperature is much lower at this elevation and a different type of vegetation which includes ferns is evident. Travel through the island is faster if visitors use the underground tunnels which go on for miles and form an underground road network complete with signs. There are also the over-ground, often coastal roads and scarily high bridges that connect hills with one another. All in all, Madeira is a spectacular Atlantic island to visit, north of the Canaries, with a temperate climate and an impressive variety of plants. Book an apartment or villa in Madeira with a swimming pool and have the most wonderful self-catering holiday in the sun with plenty to see and do and the all important chance to relax and swim when not going out.